Crafted of synthetic wicker on a rust proof aluminum frame the Cape Cod outdoor wicker set includes 1 loveseat (54w-31d-36h), 2 chairs (30w-31d-36h), 1 rectangular coffee table(39w-22d-18h) with embossed inset glass. 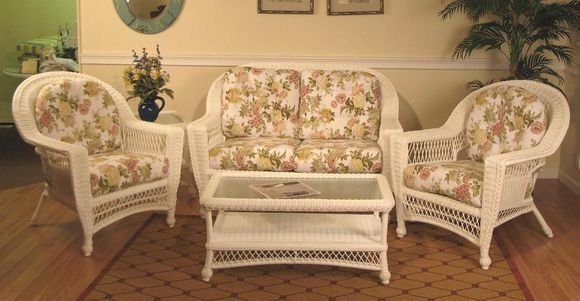 Choose from either white or natural wicker. 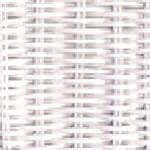 Fabric shown in the picture is the only choice.